How Do You Recruit Patients Unaware Of Their Disease? Dan Peres has had an interesting medical career. 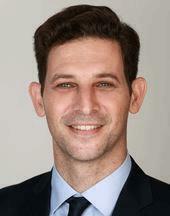 He spent the first 10 years of his career working as a surgeon in the Israeli army dealing mostly with trauma patients. In 2008 he switched to the sponsor side of the house, spending most of his time working as medical director and head of clinical affairs for companies in the medical device space. 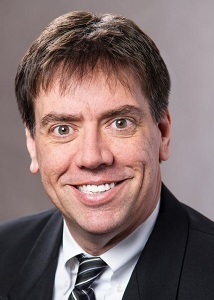 In 2015 he entered the pharmaceutical industry, becoming SVP and head of medical for Immuron, an Australian biotech company focused on oral immunotherapy. Along the way, he has learned an awful lot about the challenges of patient recruitment. 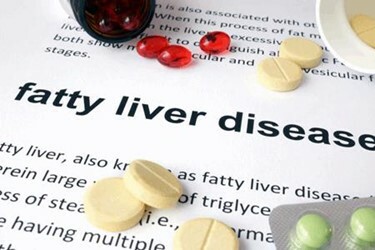 Fatty liver disease refers to the accumulation of fat in the liver above a certain threshold. NASH is the accumulation of that fat combined with inflammation. Eventually the inflammation will lead to fibrosis (liver scarring) and cirrhosis. The condition can even lead to Hepatocellular Carcinoma (HCC), a form of liver cancer. Peres notes NASH is quickly becoming the number one cause of HCC in the western world, overtaking Hep C which now has treatment options available. NASH patients don’t know they have the disease unless they get to the point where they develop cirrhosis or failure of the liver (or another organ related to liver disease.) A cardiovascular risk also exists for patients. Reducing fibrosis in patients is currently the best treatment option. Immuron’s anti-NASH drug is IMM-124E, a colostrum-based compound. Colostrum is the first secretion (milk) from the mammary glands of cows post birth. Colostrum tends to be high in antibodies, although Immuron uses a very specific kind of colostrum achieved by administering vaccinations to the cows prior to calving. This creates colostrum which is rich in a few specific types of antibodies. “We are designing the colostrum to fit our needs,” notes Peres. Finding patients with NASH has certainly presented some unique challenges. Looking at research being conducted on NASH, you’ll see there are currently over 180 molecules in development. In that type of competitive market, finding patients will always be a challenge. Challenges with patient recruitment have many companies turning to social media for help. Immuron attempted to go that route as well. Peres worked with partners in crafting the message, but notes the effort did not deliver the desired results. He believes that had to do with the audience he was trying to reach. According to Peres, the disappointing results from the social media campaign had nothing to do with the number of people afflicted with the disease. NASH is not a rare disease; as much as five percent of the U.S. population could be afflicted with it. The problem is that if someone is discovered to have a fatty liver, the diagnosis often comes about by accident. For Immuron, that was a challenge. Patients are generally not looking to be diagnosed, since they have no symptoms. There is also no treatment currently available. In the general population, putting aside the NASH experts and pharmaceutical companies working in this space, few people are looking for information on NASH. Peres calls it a condition that seems to be nonexistent. The biopsy is a percutaneous procedure whereby the patient is pricked with a large bore needle. The needle enters the liver and retrieves samples of the liver through the skin or a catheter. Another option is the trans-jugular approach, where the needle also goes through the jugular vein, making it a minimally invasive procedure. Nonetheless all biopsies carry certain risk of morbidity and even mortality. Competition makes the challenge even worse. Many companies are trying to get a product developed for NASH patients, and Peres believes there are between 175 and 200 products in development. There are four compounds in Phase 3 testing, with an additional 50 in Phase 2 and still more in Phase 1. Other products are in the preclinical stage. Unfortunately, each study is looking for the same type of patients. In looking for innovative ways to recruit patients for its NASH studies, Immuron is asking for help from clinics. Peres is aware of at least three Phase 3 trials that are looking to recruit between 1,500 and 2,500 patients across 2,000 hepatologists in the U.S. Therefore, finding a way to recruit from other clinics may be essential to getting needed patients. While hepatology departments would have the needed expertise, Immuron could provide help in non-hepatology clinics. One example would be clinics specializing in endocrinology. These are a great source for NASH patients since many happen to be diabetic. In those clinics, Immuron would instruct staff on the protocol for finding high-risk patients and then justifying the need for a biopsy. The treatment being developed by Immuron has recently completed Phase 2 testing. Four companies (Gilead, Genfit, Intercept, and Allergan) have compounds in Phase 3, and the market for an FDA-approved NASH therapy has been estimated to be $35 billion.